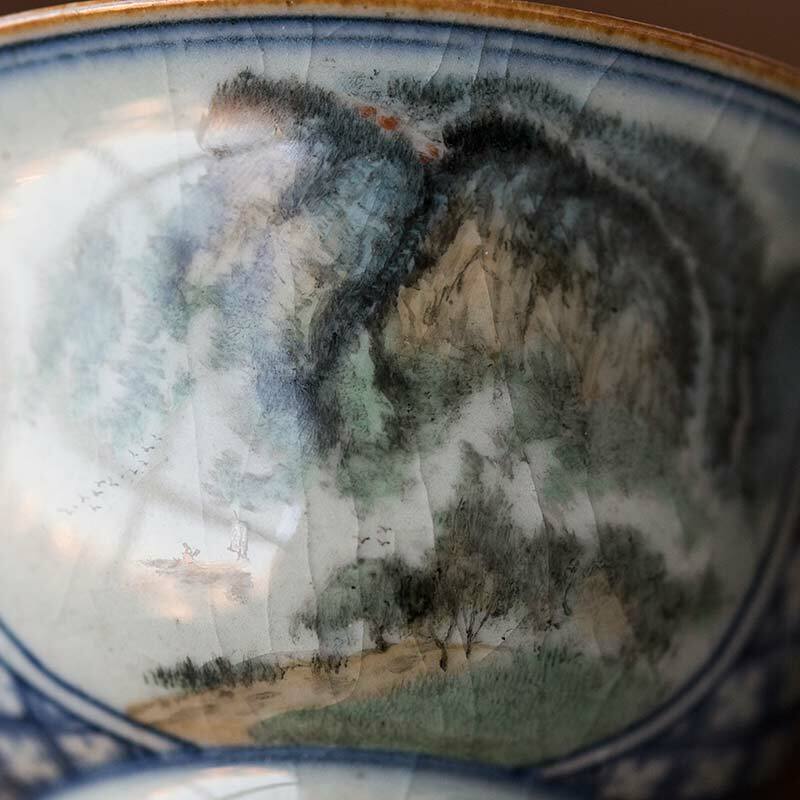 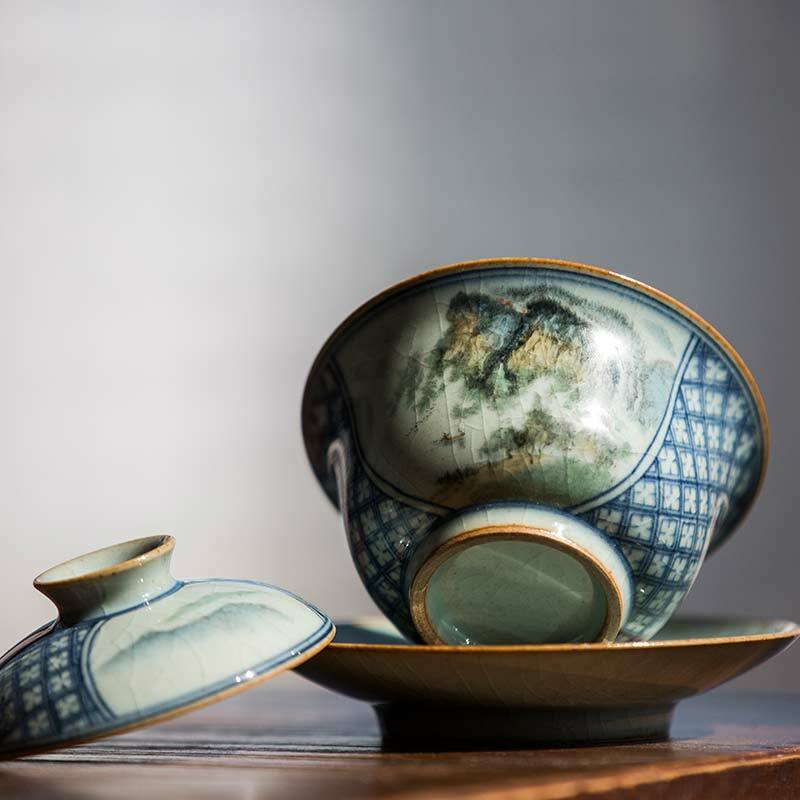 This fully hand painted gaiwan features a detailed painting of mountains and a lake, framed inside a qinghua style window. 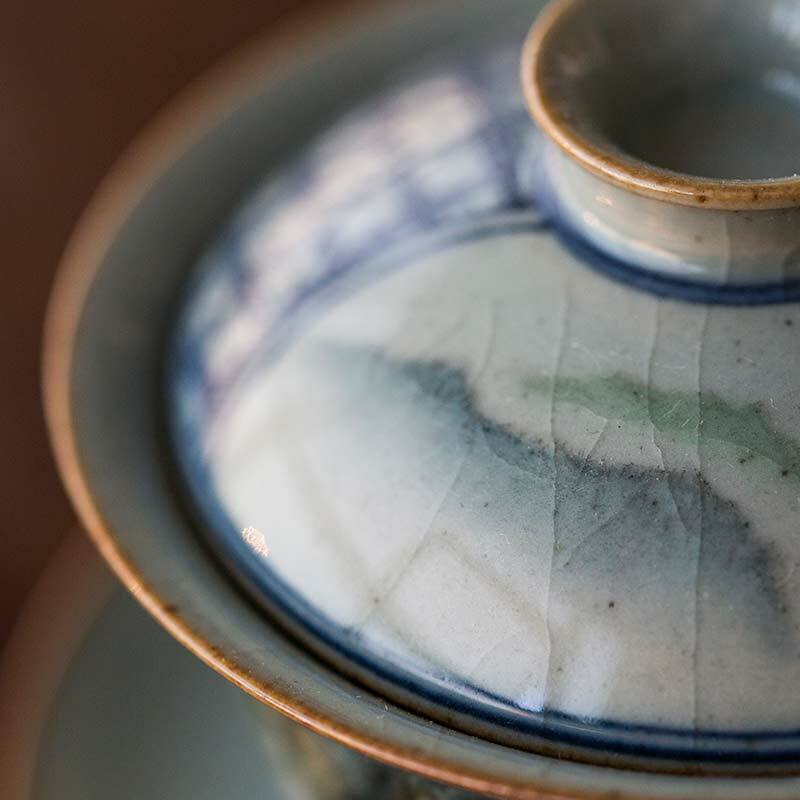 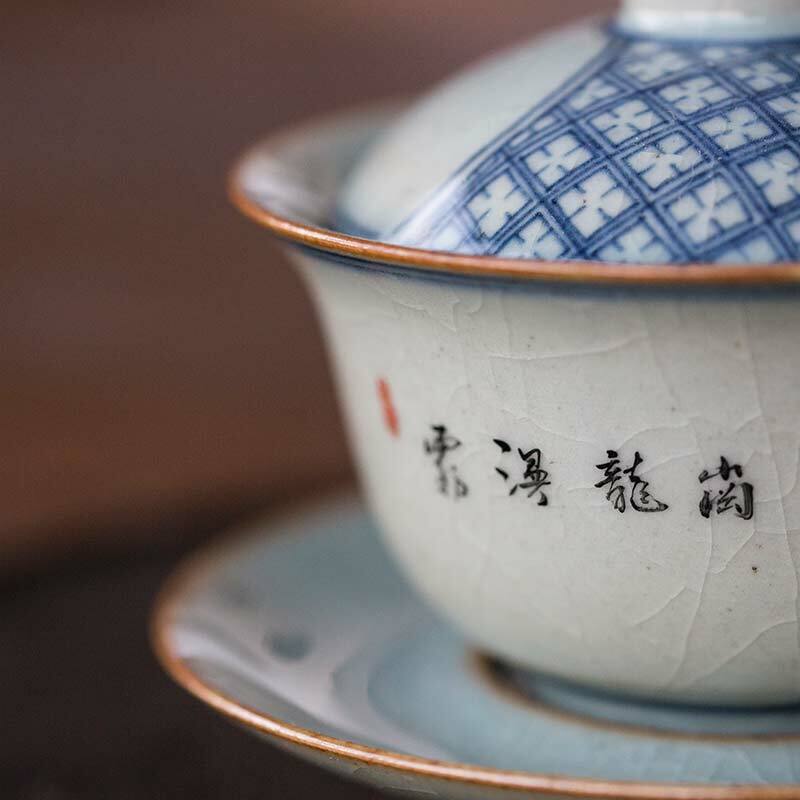 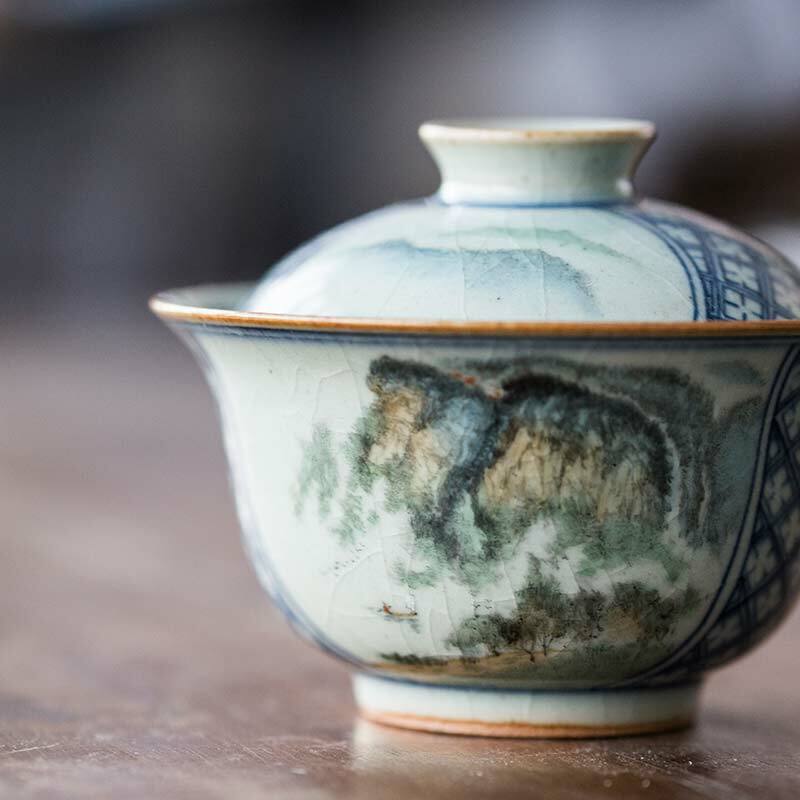 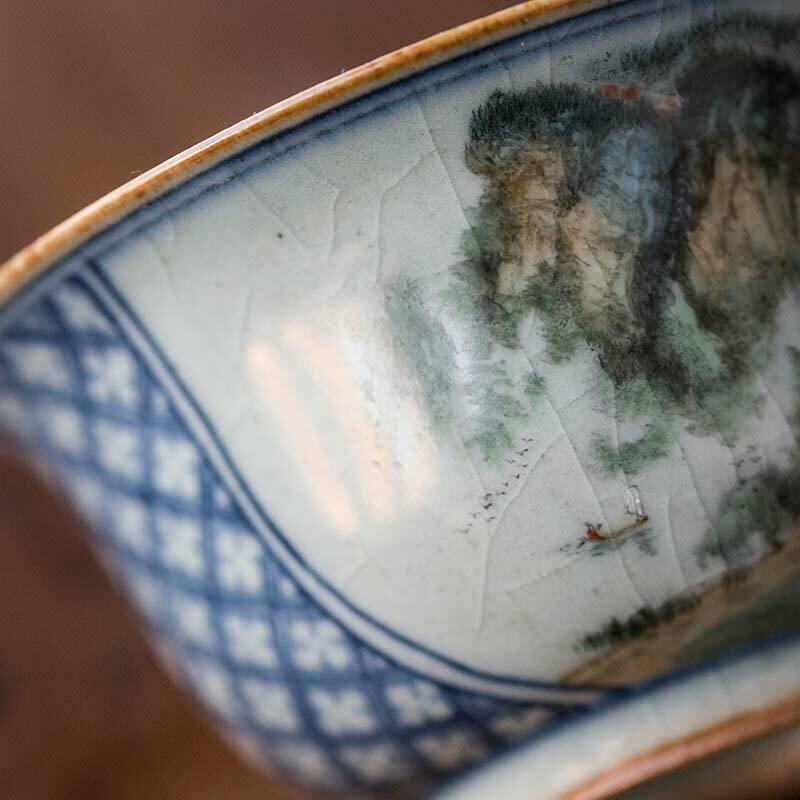 It also has a classic “fanggu” style glaze that contains light surface crackles. 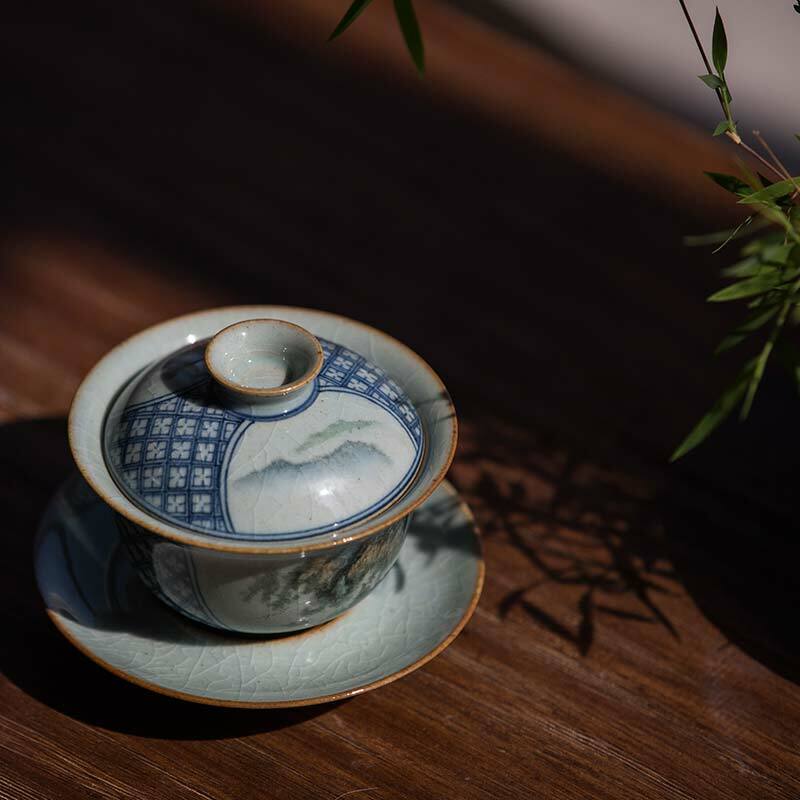 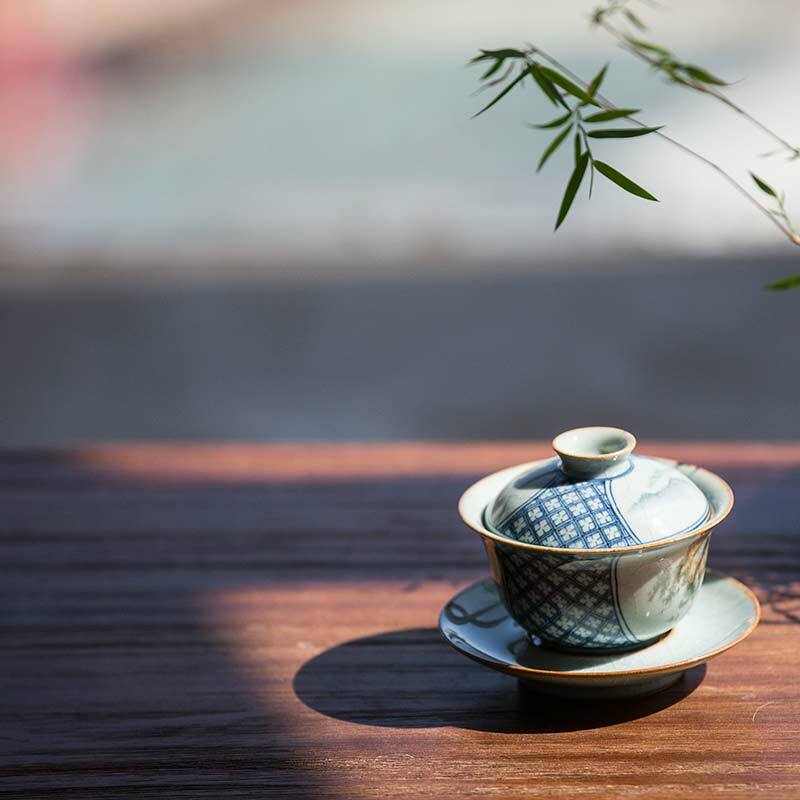 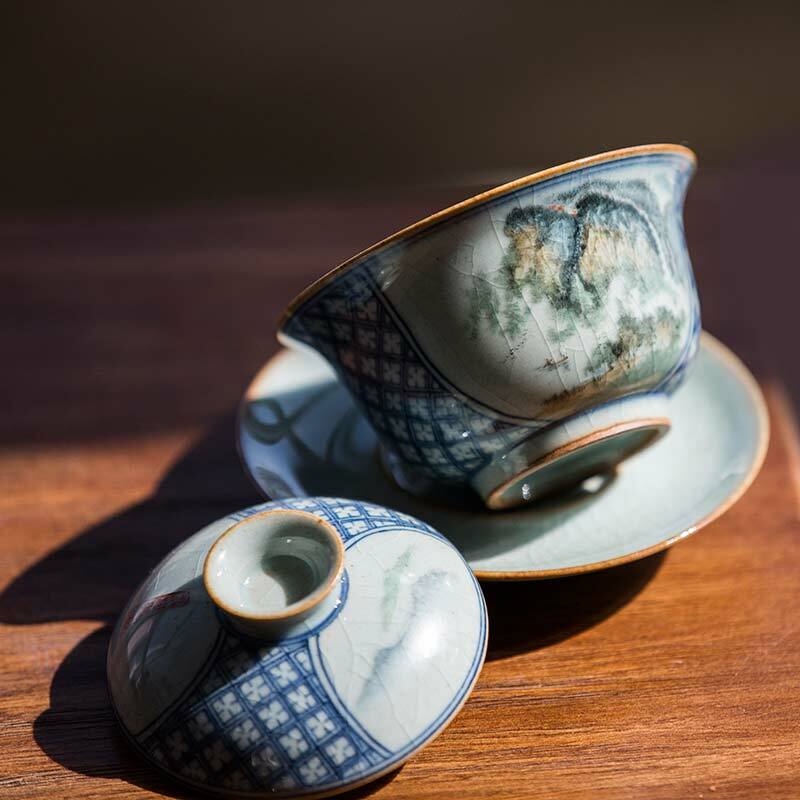 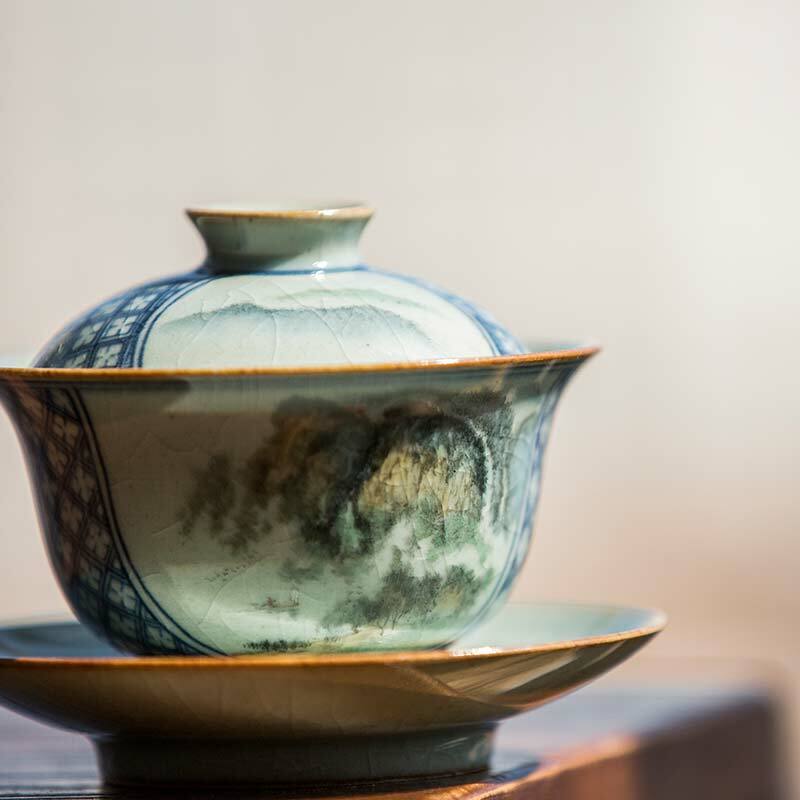 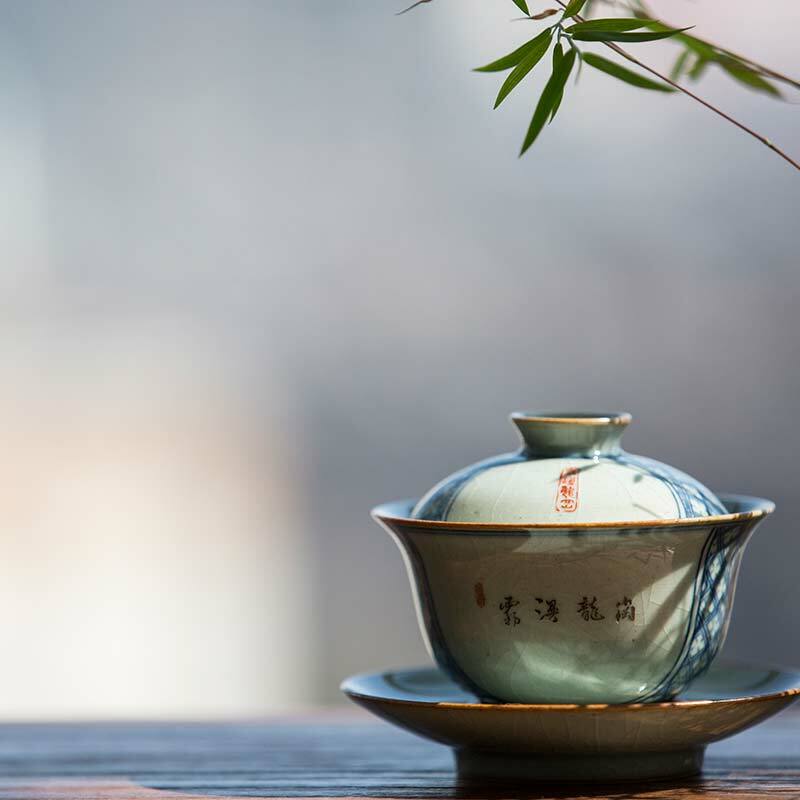 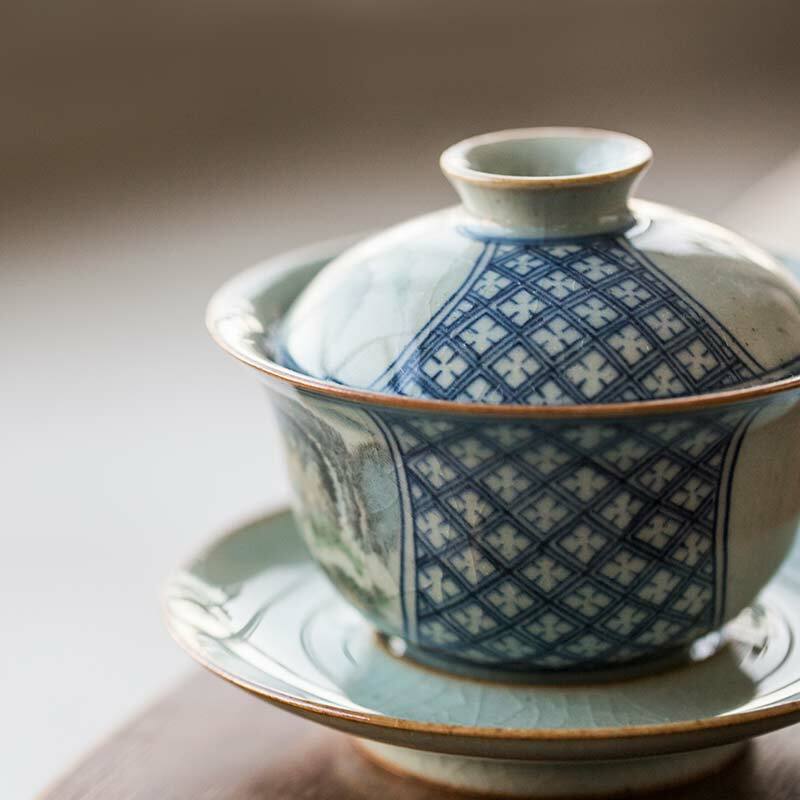 This gaiwan holds approximately 150ml of liquid and includes a saucer.